Read more about 2018 Can-Am Maverick Trail SXS Information-Specs-Price-For Sale. Can-Am X-Team and Maverick X3 Turbo R side-by-side vehicle racers Phil Blurton and Kyle Chaney each earned an impressive off-road endurance racing victory this past weekend. Blurton won the 2017 Best In The Desert UTV Turbo class in Nevada, while Chaney earned the win at the Pro Unlimited UTV race at the Heartland Challenge in Iowa. Can-Am GNCC Racing Update, “I'm so pumped to be a part of the Can-Am team. The Maverick side-by-side vehicle has proven time and again to be the top platform, and I hope to bring another title to the brand,” said Hunter Miller. Factory Can-Am racers had a great weekend at the annual John Penton Grand National Cross Country race in Millfield, Ohio. 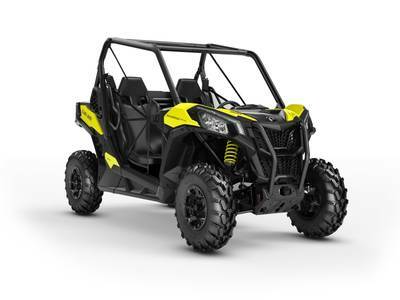 Can-Am won both the XC1 Pro UTV and 4x4 Pro classes, maintaining the class points lead in each prestigious off-road racing class. Read more about Can-Am GNCC Racing Update, “I'm so pumped to be a part of the Can-Am team. The Maverick side-by-side vehicle has proven time and again to be the top platform, and I hope to bring another title to the brand,” said Hunter Miller. Can-Am off-road racers had great success this past weekend on racetracks around the country, notching several victories and numerous podiums. Can-Am Racing Update – June 14 Can-Am off-road racers had great success this past weekend on racetracks around the country, notching several victories and numerous podiums.